The weekend is upon us! That means this is my Monday, lol. I actually have two weddings this weekend, two family session galleries due out (in addition to the three I just sent) plus two wedding galleries due next week! Gah!!! Don't know if I'll ever sleep. But hey, I managed to remember to post this before the weekend madness kicks in and I actually have photos to share - woot! 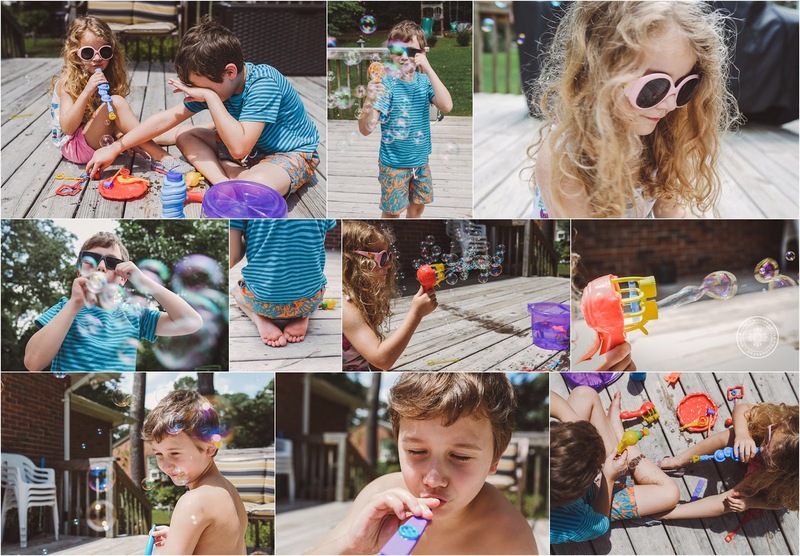 This week was a blur of work and not much else, but I did take some shots of my kiddos playing outside. We're hanging on to summer as long as we can here. I can't believe half the country is back in school already! I am holding out for at least one relaxing beach day this summer. Love your bokeh in those monochrome shots. 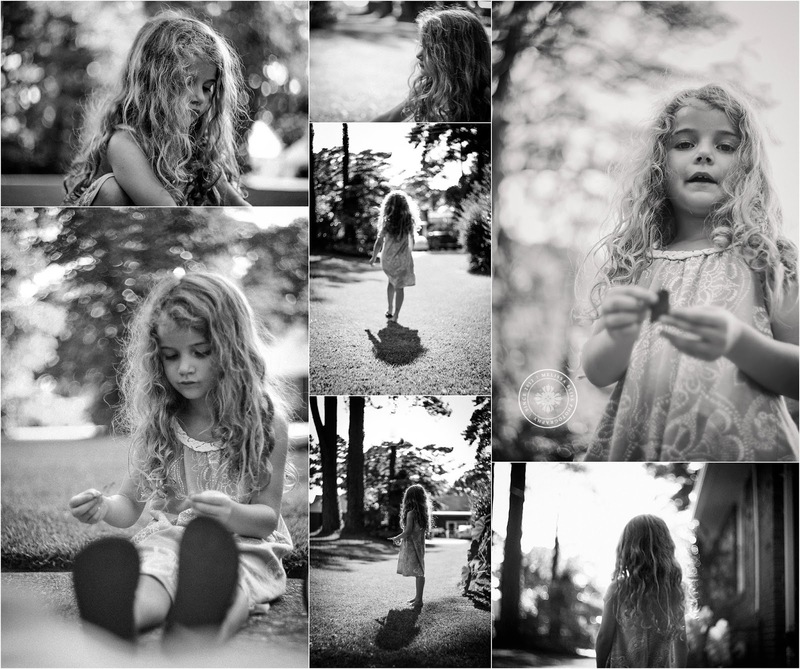 And little miss curls...oh to die for those curls! Have fun shooting the weddings! Love the summer snippets!